The word 'Complete' has never seemed less appropriate in the title of a CD. The programme may include every work that Niels Gade wrote for piano trio, but the number of these projects that actually made it through to a complete form is surprisingly low. There is the Op.42 Piano Trio, which holds together well enough. Then there are the 'Novelettes' Op.29, a work that seems to aspire to the coherency of a classical piano trio, and that the composer had a few goes at reorganising to that effect, but without any real success. The rest of the programme is made up of orphaned movements, either discards or remnants of projects that never got any further. Not that issues of overall structure should spoil our enjoyment of the individual movements, which for the most part hold together very well. There is nothing very radical about the style of this music, for the most part we are talking about elegant, although rarely memorable melodies, supported by idiomatic but unadventurous accompanying figures. The internal structure of movements tends to be articulated by minor changes of tempo and dynamic, so there are few extreme contrasts, and the passion beneath this music, such as it is, is always very much tempered. Gade was from Denmark, and the accepted wisdom is that his early music is in a Nordic vein, which he turned away from when he went to study in Leipzig, a town then dominated by the musical presence of Mendelssohn. But these trios tell a different story. The First Movement for a Piano Trio, which was written in 1839 pre-dates his trip to Saxony, yet is the most Mendelssohn-influenced of the lot. It is perhaps unfair to describe it as a second rate knock off of Mendelssohn's own piano trios, and anyway, the Mendelssohn works are so great, that even a pale imitation like this still has the potential to be great music. The visit to Leipzig may have cured Gade of some of his adoration for Mendelssohn, but that was soon to be replaced by a similar devotion to Schumann. The result, for most of the other works on this disc, is a style that flits between the two composers. 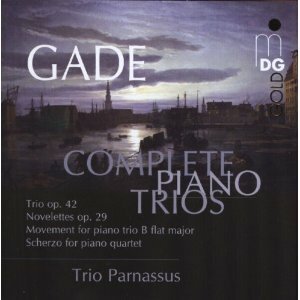 The Op.42 Trio demonstrates how Schumann's influence had the effect of making Gade's chamber music more sophisticated and more texturally dense. The Novelettes also display this increased textural richness and a little more adventurousness with the shape and proportions of the melodic lines. The Scherzo for Piano Quartet is the earliest work on the disc, dating from 1836, and is very much juvenilia, its textures the simplest of any of the works (despite the added viola) and the thematic material the least developed. The Trio Parnassus are an adventurous group when it comes to programming, and this disc follows similar forays into the neglected trios of Korngold and Reger. The performances are committed and lyrical. There are occasional tuning problems between the violin and cello, but the balance is good and the ensemble is excellent. The recorded sound is very round, adding to the coherence of the sound, but obscuring the finer details, especially of the piano sound. It seems like the microphones have been placed well back, and while the resulting sound is certainly warm, it lacks any real sense of intimacy. Or perhaps the recording engineers are doing the composer a favour. The soundworld of this music sits somewhere between he Classical and the Romantic, and it often seems that the composer is unsure himself about how much Romantic abandon he can risk in these otherwise quite formal structures. Trio Parnassus go someway towards encouraging him into the 19th century proper with their often expansive and always melodic readings. But by presenting the music in the same audio environment as they previously have Korngold and Reger, MDG take that final step on the composer's behalf. 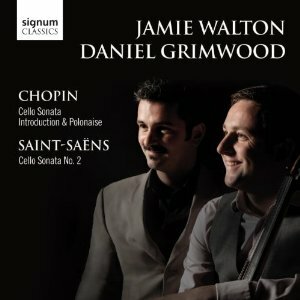 Chopin and Saint-Saëns don't seem like a natural pairing, but the stylistic similarities between the two sonatas presented here is startling. Both are the work of composers nearing the ends of their careers (although Chopin wasn't exactly old) and demonstrate the benefits of a lifetime's experience wrestling with generic forms. The sonatas are both grand affairs, each is in four movements, and every movement is filled with long, expansive melodies that sit well with the cello's declamatory yet expressive sound. For Romanza third movement of the Saint-Saens is a particular treat. The movement is a long, winding theme and variations, in which all thoughts of neat proportion or musical progression are suspended, allowing the cello to just sing for a full nine minutes. The Chopin is a more famous work, so much so that it gets top billing on the cover, despite appearing second on the programme. It always surprises me that Chopin was able to keep the focus on the cello throughout the work and keep the piano in the background. In fact, both he and Saint-Saëns manage this by increasing the note density and dynamics of the cello part rather than reducing the piano's contribution. But despite its unusual (for him) instrumentation, this is classic Chopin, and deserves a place up there with the greatest of his piano works. Jamie Walton is an interesting cellist. His style is clean, with hardly any appreciable vibrato or portamento. I'm a big fan of this sort of playing, and to find this aesthetic discipline being applied to the most Romantic of Romantic repertoire is little short of a miracle. Just listen to the clean declamation on the high phrases in the outer movements of the Chopin, that's really elegant and all the better for avoiding the big swoops between the notes that so many other cellists would apply automatically here. I also like Walton's low register, which is rich, deep and satisfying. Daniel Grimwood holds back on the dynamics with his accompaniment, more so perhaps than is necessary. Even so, he is clearly enjoying every minute, and even though his contribution to the Chopin is strictly accompaniment, it is also piano music by Chopin, and he makes the most of the deeply idiomatic writing. I've reservations about the recording quality. The sessions took place at the Wyastone Concert Hall at the Nimbus Estate on the Welsh borders. The hall is quite resonant, especially given that its primary use is as a recording venue, but the results are usually more even than here. The microphones have been positioned some distance from the performers, perhaps to make the most of the acoustic, but both of them, and the cello in particular, sound frustratingly distant. The dynamic range of the players is wide, but is also exaggerated by the recording, so avoid the temptation to turn up the quieter passages because you'll get a shock at the next fortissimo. But those reservations apart, this is an enjoyable disc. According to the liner note bio, Jamie Walton is "becoming increasingly renowned for his purity of tone", a description I would happily endorse. 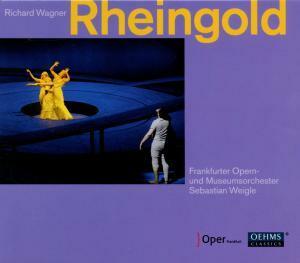 I notice he has a number of other recordings out on the Signum label, mostly of 19th century repertoire. I'd imagine that Greig and Rachmaninov would benefit just as much as Chopin and Saëns from this focussed, disciplined approach. I'd love to hear what he does with Bach as well. Why does Russia have such a problem with chamber music? 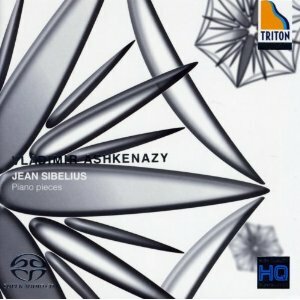 The rationale behind the programme on this disc is that the two works represent the beginning and the end of the piano trio as a genre for Russian composition, and that the history of the genre acted against both composers. But is chamber music really a German imposition that is at odds with the spirit of Russian music? Shostakovich didn't think so, although one of his motivations for writing string quartets was the paucity of Russian examples. 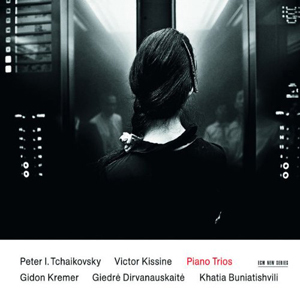 Victor Kissine obviously feels these tensions, and does his best to illustrate them in his piano trio "Zerkalo" (Mirror). His biography in the liner mentions collaboration with Schnittke, and like Schnittke, Kissine plays out his own struggles with musical tradition in his music. To adapt Schnittke's phrase, this piano trio is a work about the impossibility of writing piano trios. What that means in practise is that the work is based on gestures one might associate with chamber music - short motivic expositions, dialogue between the instruments, surprise fortissimo interjections – but the contexts in which these are heard has a distinctly alienating effect. At the opening, these small gestures are separated by silences, and as the textures build up, they gradually string together into some kind of logic, but not clear formal logic by any means. The composer describes the form, with reference to the work's title, as a 'shadow of sonata form', but it is difficult to link anything in it to a traditional sonata allegro. Perhaps what he means is that the musical ideas are obliged to interact, but by avoiding any sense of agreement or reconciliation, they merely outline the shape of the form rather than playing out its musical ramifications. A more useful handle on the work is the source of the title. It is taken from the lines: The mirror dreams only of the mirror/Silence watches over silence...The poet is Anna Akhmatova. Many have tried, and most have failed, to set Akhmatova's words successfully to music, but Kissine's (admittedly purely instrumental) strains fit the bill better than most. Like Akhmatova's work, his music is based on brief aphorisms, whose chief virtue is economy of means. And both the poet and the composer link together these short statements into longer works based on some complex and inscrutable logic. Kissine seems to have buttressed his work against the German heritage of the genre with the help of a truly Russian writer. Tchaikovsky sidestepped the prevalent German models for piano trio composition by instead writing a symphony and scoring it for three players. He already had experience of how to prevent a symphony from sounding German, so it was a sensible move. Gidon Kremer and his colleagues don't stress the symphonic angle too much. The reading is certainly expansive, but the amount of breadth they allow the individual phrases means that the work loses some of its urgency. In places, it tends towards the sound world of Victor Kissine, where strident gestures appear then disappear, but without any discernible effect on the neighbouring music. That said, the work's major climaxes are beautifully prepared and executed with both power and control, allowing them to anchor the work's structure and prevent it from losing direction. It hardly needs stating that the performances are technically perfect. As with any Gidon Kremer project, the communication between the players is of the highest standard, meaning that phrases begin and end exactly together, and any rubato along the way (there is quite a bit in the Tchaikovsky) is precisely synchronised. Resonant recording spaces have been a trademark of ECM chamber recordings for a long time, but this goes a step further than most. We are in the Himmelfahrtskirche in Munich, a space that most recording engineers would only consider for large choirs. The decay is long but clean, and has surprisingly little effect on the detail of the sound. The atmosphere created is ideal for the Kissine, creating an aura around the isolated phrases and gestures, and further distancing the work from the 'traditional chamber music sound'. Its role in the Tchaikovsky is similarly alienating, not distracting as such but not really necessary for this music either. Kremer and his colleagues deliver an excellent performance of this popular work, but it is only one of many excellent performances in the catalogue. So if nothing else, the acoustic allows them to stand out from the crowd. 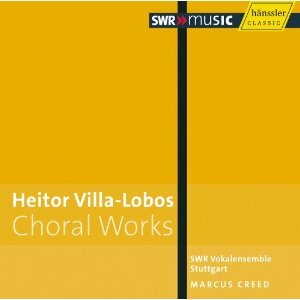 Villa-Lobos spent a large proportion of his career in Brazil involved in music education and in particular instructing teachers in choral conducting. On the evidence of this disc of unaccompanied choral works, he certainly knew how choirs work. The music here is impressively varied, but uniformly well written for choir. It sounds as if it is fairly easy to sing (although that may be an illusion) but the sheer variety of sounds, textures and rhythms that the composer draws from the choir is incredible. The lack of accompanying instruments does nothing to reduce the musical variety or credibility of the music, and the sheer competency of the choir means that they never need assistance in maintaining the pitch or mood. The most famous works here are those linked to Bach, the Bachianas Brasileiras No.9 (better known in the composer's arrangement for strings) and the arrangement for choir of the 8th Fugue from the 48. The quantity of counterpoint in these two works sets them apart from the more homophonic textures of the other music, and occasionally suggests the Swingle Singers. Of course, the choir is significantly larger, but the unity of ensemble and intonation is on a par with the Swingle Singers' always impressive standards. Other works bring the Brazilian flavour closer to the surface, like José and As Costureiras, both based on folk songs, and Choros No.3, which is based on Brazilian dance rhythms. Even when Villa-Lobos turns his attentions to sacred material, such as in Preces sem palavras and his early Ave Maria setting, there is still a strong South American flavour that distances the music from European models. So repertoire-wise, the disc achieves an impressive balance of variety of mood and stylistic unity. The performances are impressive, although anybody with suspicions that a German radio choir will struggle to capture the Brazilian flavour of the music may have a point. Given the ebullient approach we associate with the performance of classical music in South America these days, the more straight laced approach here could be considered a bit stuffy. But then, the composer prided himself on the links between Brazilian and European traditions in his music, so a European approach to its performance surely has some validity. >And technically the singing is beyond reproach. The sheer control that the singers exercise over their tone, ensemble and dynamic balance is as good as you could ask for. Listen, for example, to the slow, evenly graduated fade out at the end of the first movement of Bendita Sabedoria, an atmospheric effect that only works because of the sheer precision of the performance. I can't find any information about where this recording was made, but I'm assuming it was in a studio. The sound is warm and the recorded sound of the choir is always attractive. The few overtly contrapuntal movements are a little lacking in clarity in the middle voices, but the majority of the movements are based on simpler textures, and these come across fine. A fun disc then, and one that is sure to appeal to Villa-Lobos fans. To everybody else, it is worth looking out for simply for the rare combination that it offers of upbeat choral music that is never trivial and that is sung throughout with real commitment. 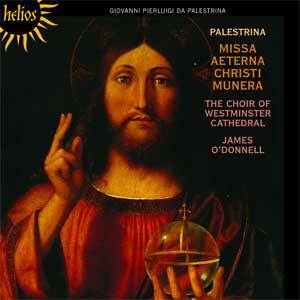 This disc is a real treat for fans of Renaissance polyphony. Lassus could probably be placed somewhere in the top five 16th century composers, but in a period dominated by the monolithic choral textures of Palestrina, the sheer variety of Lassus' works marks him out as something special. It is difficult to pin down the logic behind the programming on this disc, but if it is intended to demonstrate the breadth and uniformly high quality of Lassus' work, it is an unqualified success. We have works in four parts, in six parts, both secular and choral, and a good number of pieces performed on Renaissance brass, where they work just as well. Of the 24 tracks, 14 claim to be première recordings, which given that Lassus is hardly a stranger to the CD catalogues suggests an unusually extensive output. And the quality never falters. Jeremy Summerly makes the point in his informative liner notes that the performance of Lassus' music on instrumental consorts is not only fully justified by contemporary documents, but is also a demonstration of the rock-solid compositional technique that underpins this music, never needing the semantics of a text or a specific liturgical function to achieve its effect. There is even harmonic innovation here. Listen, for example, to the opening of Timor et timor, where the 'Fearfulness and trembling' are represented by dark minorish modal harmonies, with startling harmonic shifts between each syllable. Palestrina might be a little more subtle with this sort of thing, but the sheer immediacy of Lassus' approach achieves something different and equally startling, a balance of the transcendental and the worldly. This sense of immediacy is all the more powerful for the Choir of St John's College and their ability to perform this music with analytical precision, yet without ever weighing down its soaring lines. The clarity of their pronunciation helps to articulate the textures; there is never any sense that the consonants have been rounded off for the sake of the melodic contours. On the contrary, the clear and precisely differentiated consonants both structure the vocal lines and ensure that the texts (which are also surprisingly varied) are never subordinated to the musical texture. The acoustic – of St. John's College Chapel of course – is warm but not unduly resonant. In fact, it has a very distinctive presence in recording, and naturally this choir knows exactly how to make the most of it. The sound engineering also achieves the ideal balance of choir and aura, and indeed of individual singers and ensemble. This last is no mean feat, given the range of different choral forces employed, from three singers right up to the full choir of about 25, and with everything in between. The instrumental contribution, from His Majestys Sagbutts and Cornetts with the some unusual woodwind additions – bass rackett for example – increase further the musical variety of offer. But when the instruments are used to support the choir, the arrangements always ensure that the choir dominates. That is as it should be, of course, but I'd love to have heard a bit more bass rackett. In general though, this is an excellent selection of music from Lassus, and is presented with real musical imagination, yet without ever diverting from either the spirit or letter of the composer's scores. 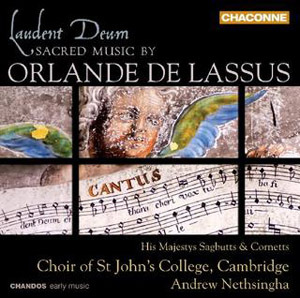 It would be hard to argue that Lassus has suffered undue neglect in modern times, so the chances are that if you've an interest in 16th century choral music you'll have heard him before. Even so, you won't have heard most of the works on this disc, which are all up their with his finest, and which are given here in performances that show off this fascinating and diverse composer in the best possible light. Programmes that seek to draw stylistic connections between the members of the Second Viennese School always seem to end up doing the exact opposite. 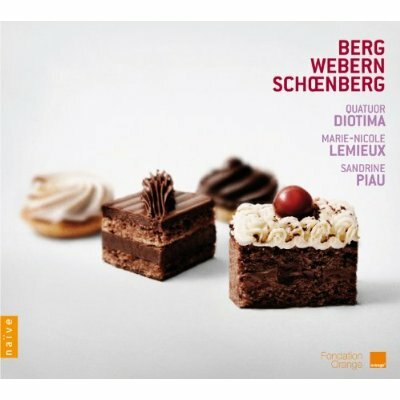 Quatuor Diotima take the approach with this CD of combining the works by the three composers for string quartet and voice. But that's where the similarities between them end. It is a good excuse for a recording of Schoenberg's 2nd Quartet and Berg's Lyric Suite (here with the alto singing the 1st violin part as per a score annotated by Berg but only discovered in 1977). Great as these two works are, they seem (to me at least) to come from different worlds. The Webern Op.9 Bagatelles are sandwiched between and have an additional 7th bagatelle appended. This work, for quartet and mezzo was apparently suppressed by the composer, although it is difficult to say why. There is nothing particularly deficient about it, and even if you don't get on with it, it only lasts a minute. Any stylistic disparities in the programming are countered by the performers' uniformly austere approach. The Schoenberg has been recorded so many times that listeners can take their pick from a broad spectrum from the broad Romantic readings at one end, through the Expressionist middle ground to the hard-edge Modernists, who generally speaking seem to be in the minority. However, that is exactly where this recording sits. The quartet's sound is dry and vibrato-less, and they project an earnest sense of purpose throughout. This really works in some places. I love the opening, where they seem to land running and get straight into the action. It can get a bit wearing though, and a little warmth here or there wouldn't go amiss. This austerity is much better suited to the Berg and Webern, both of which come off well. The players have an attention to the smallest details, which can be considered a bonus in the performance of most of the string quartet repertoire, but which is absolutely essential here. They also bring a sense of perspective, which allows them to pace the music well and not congest the denser passages. Even Webern's minute-long movements require a feeling for overall structure, and Quatuor Diotima get the balance just right between logical progression and living in the moment. The two singers, soprano Sandrine Piau and Marie-Nicole Lemieux, are a little more florid than the quartet. Both sing with significant vibrato, which isn't excessive but certainly stands out against the strings. They bring a humanising influence to the music which is always very welcome, and Lemieux's contribution to the Lyric Suite is sufficiently impressive to justify the choice of this unusual performing version. The recording quality is satisfactory, but not exceptional. Given the attention to detail from the players, it is a shame that the engineering doesn't let us get right into the middle of the action. Instead, the quartet and the singers are presented as a single unit, admirably unified but lacking intimacy and definition in the individual instruments. This recording presents the Second Viennese School as unflinching Modernists without any back story or associations with the Romanticism of the previous generation. Many listeners will agree with that model, and they will probably get the most out of this recording. But those who want to hear Brahms in their Schoenberg and Zemlinsky in their Webern should probably look elsewhere. 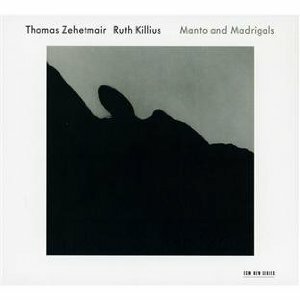 Thomas Zehetmair and Ruth Killius offer an unusual and satisfyingly diverse programme of violin and viola duets on this album. Bartók is the earliest composer represented, and in a sense, everything else on the programme follows on from Bartók's work. The spirit of folk fiddling, especially in the traditions of Central Europe is reflected one way or another in many of the works. And yet this is, for the most part, a rigorously Modernist selection. The relationship between Modernism and the folk idioms that regularly surface is a continuing source of stylistic tension, and while Bartók found some clever solutions to that paradox, the other composers here each chose to address the problem in their own way. Manto by Giacinto Scelsi is made up of long, often overlapping pitches, with a few interludes of more frenetic activity, and some judiciously added singing episodes by the players. It really sets the tone for what is to come. The microphones are placed quite close to the two players, who both perform with an earthy tone. That gives a real sense of the physical presence of the instruments, giving a welcome sense of intimacy, but also grounding the music, so that any later transcendence must be hard won. Heinz Holliger comes closest with the first of his Drei Skizzen. The piece is all up in the artificial harmonics, an eerie, crystalline effect. It sounds like tricky music to play, but both of these performers are clearly well up to the task. The Bartók that follows is a curiosity. The score is a single page (reproduced in the liner) which one player plays from the top left, while the other turns the page over and plays the music upside down. The sheer tonality of this short work stands out from what has gone before, but there is something clever going on here. The major work at the end of the programme is the Three Madrigals by Martinů, a tonal, or at least modal work, which is also stylistically at odds with the more Modernist fare earlier on. But the performers gradually introduce the more traditional idiom in the runup to these Madrigals, first with the Bartók and later with Madhouse Air by Peter Maxwell Davis, in which a folk tune struggles to emerge from more dissociated textures, not a masterpiece by any means, but the ideal work for this juncture of the programme. The other pieces, by Rainer Killius, Nikos Skalkottas and Johannes Nied all have their merits, but don't stand up to comparison with the Scelsi and Holliger, which are easily the most impressive works on the disc. But everything here is of interest, and every piece is distinctive. There are clear influences which help to contextualise much of the music, the Holliger often sounds like Ligeti, and the Skalkottas is only a few steps removed from the string writing of Bartók. The performances are great, and there is an openness to the style of performance which prevents any of this from sounding like 'difficult' new music. It is a high concept album, you'd expect nothing less from ECM, but it is difficult to pin down exactly what the concept is. Hommage a Bartók perhaps, or just an engaging pet project from Zehetmair and Killius. It is well recorded and well packaged – another quality release from ECM, and an unusual one, even by their standards. The repertoire choices here seem curiously conservative, considering the course of Jordi Savall's career in recent years. The answer to that conundrum lies in the date of recording – 1991. 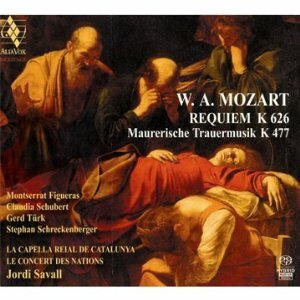 Back then, Savall was a much more mainstream kind of period performance performer, so a disc of Mozart's Requiem would have seemed like a logical choice for him, especially given that the year marked the bicentenary of the composer's death. Even back then he was a radical, and what makes this recording prophetic is the relaxed way that the period performance conventions are applied. In the early 90s, there was still a lingering sense of academic earnestness about most period instrument performance, but Jordi Savall demonstrates the value of a light touch, which has since more or less become the convention. In the context of the Mozart Requiem, that sits uneasily with the gravity of the subject, although it serves to highlight the Classical elegance that is never far from the surface in Mozart's music. There are no super-fast tempos here, at least by period performance standards, the Rex tremendae is the only movement that seems a shade faster than comfortable. 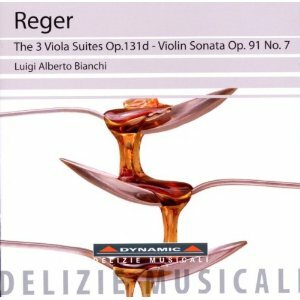 Subtle dynamics rather than rubato are used to shape the soloists phrases, and despite the almost playful atmosphere, closer listening reveals an impressive discipline in the tempos, balance and ornamentation. The soloists are all up to the job although none stands out. Singing at 430hz gives the ladies a little more room for manoeuvre in the upper register. The gentlemen are both occasionally insecure in their tuning, and a bit more gravity from bass Stephan Schreckenberger would have been welcomed, especially in the Tuba mirum. The trombone soloist is as much to blame as the bass here though. The singsong approach in the famous trombone solo seems wholly at odds with the spirit of the work, although considering Savall's other recordings, it is a fair bet that he requested the style of playing specifically. On the whole, the orchestra are more impressive than the choir, and putting the Masonic Funeral Music at the start of the disc gives them an excellent chance to show of their complex tone colours. Savall makes a big thing out of the fact that period basset horns are used. They are prominent in the opening, but after that you have to listen for them. They do add a wonderful earthy colour to the middle register of the woodwinds. There is some nice raspy playing from the brass (although some of their fortes could be better controlled), and the timpani sound suitably archaic. The strings seem a little underpowered, I don't know what the conventions of the time were, but two to a part strikes me as stingy. The choir is also small, and their tone colour isn't particularly interesting. They sing with excellent precision though, and the clarity of their lines in the contrapuntal movements is beyond reproach. Given that this is an SACD, you could justifiably expect more from the recorded sound. But then, it is technically an SACD reissue, which muddies the waters a little. The recording was made in a church in Alsace, and the microphones seem to have been placed well back to make the most of the acoustic. That is a gamble you can take when you've got such a small ensemble, and it creates a distinctive sound stage; it is not often you hear choral music by Mozart recorded in a church on period instruments. However, the recording shows its age, and an SACD produced under similar circumstances today would undoubtedly be clearer in the details and more engaging in the bigger picture. This disc is going to appeal to fans of Jordi Savall more than to fans of Mozart, I suspect. It is an elegant reissue though, and probably the best product you could create from the masters in question. It is one of a large collection of Jordi Savall reissues, and most of the liner is devoted to cataloguing the others. But there are also some facsimile pages from the score, an essay from Savall himself, and every member of the choir and orchestra are named. The completion is by Sussmayer, which is more implied than stated in the notes. It might have been nice to have made that fact crystal clear on the box, especially since Jordi Savall is not above writing completions or elaborations of historical works himself. Jörg Widmann is a man of many musical talents, not least of which, at least on the strength of this album, is orchestration. He has a sensibility to the timbral and dramatic possibilities of the ensemble that seems almost anachronistic, a relic from the days of Mahler and Strauss. And like Mahler (perhaps less like Strauss), his orchestration is surprisingly sparing, so that even in the louder passages, each of the instruments is employed for a specific purpose, giving the music a valuable, and these days all too rare, sense of purpose and logic. Engagement with religious themes is another unusual strand of Widmann's work, although that engagement in Messe is abstract to say the least. The work starts from the idea of a mass setting without voices for orchestra. If this sounds a lot like the thinking behind Schnittke's 2nd Symphony, there are a lot of similarities in the music too. Both Schnittke and Widmann acknowledge the vocal origins of their ideas by spinning out orchestral textures based on simple, singable melodic lines. The textures in both cases often build up into terrifying climaxes, but there is always a sense of familiarity in the vocally-inspired melodic lines. The big difference however is that, while Schnittke uses Gregorian chant for his melodic material, Widmann either buries those associations so deep they are not recognisable or (more likely) makes up his own melodic lines. That is an important distinction because it breaks the specific semantic link with liturgical music. However, there is plenty of rhetoric here, including distant chorales from muted strings, brass fanfares, the associative sounds of various kinds of bells. In short, it is obviously meant to mean something quite specific, and it is clearly something to do with religious faith, but it is up to the listener to decide for themselves exactly what that meaning might be. Fünf Bruchstücke for clarinet and piano is equally enigmatic, although the use of extended performance techniques on the clarinet gives a much greater sense of immediacy. 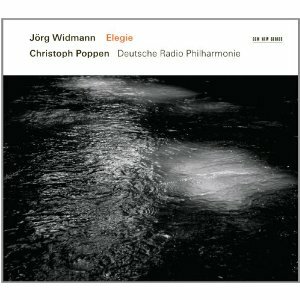 Widmann performs the solo line himself, and has engaged the services of a distinguished musician as accompanist: Heinz Holliger in his first recording as a pianist. Like Holliger's oboe music, Widmann's writing for the clarinet really benefits from the fact that the composer is a virtuoso performer on the instrument. He knows exactly what it can do, or rather what he can do on it. I don't think there are any extended techniques here that I have not heard before, we are talking about growls, slides, microtones, keyslaps etc., but the way in which he combines them, either together or in quick succession, speaks of an affinity with the clarinet that only a player could bring. For the first few pieces, it seems he is giving Holliger an easy time of it, but then the piano part really takes off, and Holliger proves that he is more than up to the challenge. There is a nice effect in the piano part, where empty CD cases are laid across the strings to mirror some of the more unworldly sounds coming out of the clarinet. Unworldly is a term that could equally apply to Elegie, a concertante work for clarinet and orchestra. The parallels between the first track and this are undeniable, both have a bleak psychological outlook, but here it is as if the spiritual framework of religion has been removed, taking with it the music's structural stability as well. The result is an almost rhapsodic interplay of extended techniques on the clarinet and small orchestral ensembles. There is a free reed instrument of some sort in there, an accordion perhaps, that adds a strange kind of halo to many of the textures. Given the lack of form in this piece, I'm not sure how it would stand up in a concert, but as an epilogue to this programme it is ideal. Widmann is clearly a composer for our times, although from this side of the channel his musical priorities seem more Teutonic even than those of most of his compatriots. A British composer would struggle to get audiences to take this sort of music seriously without adding a good dose of post-modern irony or stylistic cross-reference. Widmann instead continues where the Second Viennese School left off, searching for new sounds and modes of expression, but all the time maintaining a faith in the symphonic ideals by which a work can be justified purely in terms of its innovation, scale and level of abstraction. That aesthetic idealism fits snugly into the ECM corporate image, and it is to both their credit and his that the production standards here are as good as any from ECM. The Deutsche Radio Philharmonie have no problems at all with Widmann's unusual scores and the sound quality is excellent. Widmann, of course, gives exemplary performances of his own solo parts. He is clearly one to watch, and for those wanting to get themselves up to speed with this new music phenomenon, this disc is as good an introduction as any to his distinctive soundworld.